For one time in my life, I was extremely lucky. 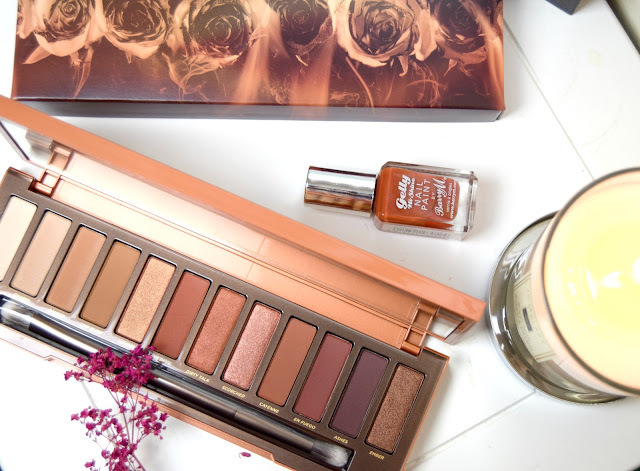 I managed to get my hands on the gorgeous new Urban Decay NAKED HEAT palette within the first eight minutes of its early release before it swiftly sold out. I got mine in the second minute, to be precise! I was literally ON IT. 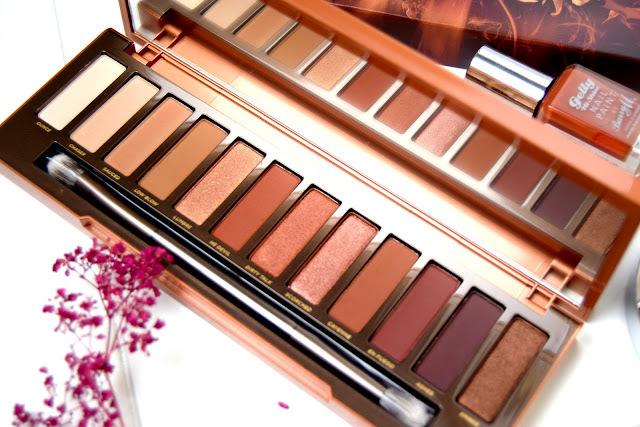 I just needed to get my hands on it - after being an avid Urban Decay fan for years now, and falling head over heels for their other NAKED palettes, I just had to purchase this. One simple reason for my urge to purchase is the absolutely gorgeous choice of colours. There are so many people have viciously criticized the palette already for being 'unoriginal', 'just another warm-toned palette' and 'all the colours look the same'. Therefore, I've decided to give my personal opinion on the palette, compare it to my other beloved Urban Decay ones and just share my thoughts on this new release. As you could probably tell, I had super high hopes for the palette and I was praying it didn't let me down. The palette will be officially released on July 27th. On 12th June, I was anxiously sitting on my bed (anxious times 1000 as I was also sitting a biology exam that day) waiting for the early release at 11am. 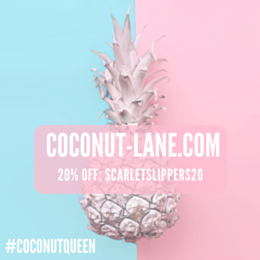 Within two minutes of the product launching, I popped the palette in my basket and paid in the space of 2 minutes. This in mind, I wasn't expected the palette to arrive within the estimated standard delivery of 3-5 working days. 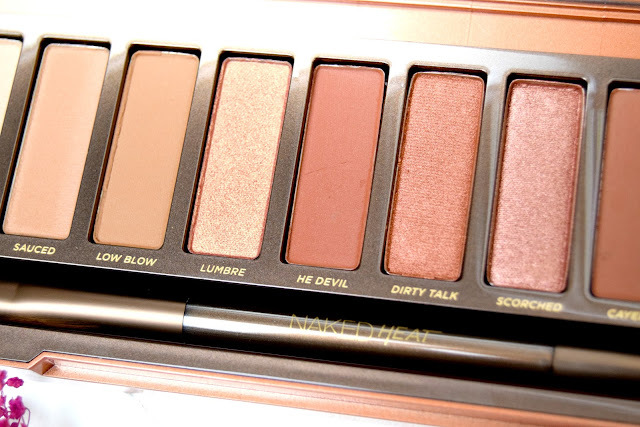 However, I had my hands on the palette within 2 days! I was super impressed with the efficient delivery time not to mention what comes next...Hands down, I was not expecting to be greeted with a gorgeous purple shoe-sized box. 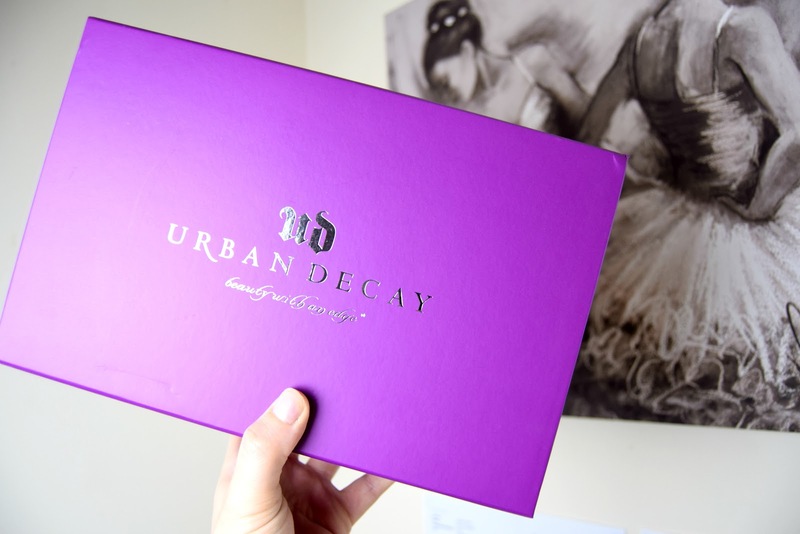 The beautiful purple, matte finished box and silver print gave the delivery that extra classy feel and screamed luxury! On opening the box, the palette was encased in several layers of black tissue and tightly squeezed bubble wrap. The product was in perfect condition and sealed in a stunning red-toned box, embodying the warm tones of the palette perfectly. 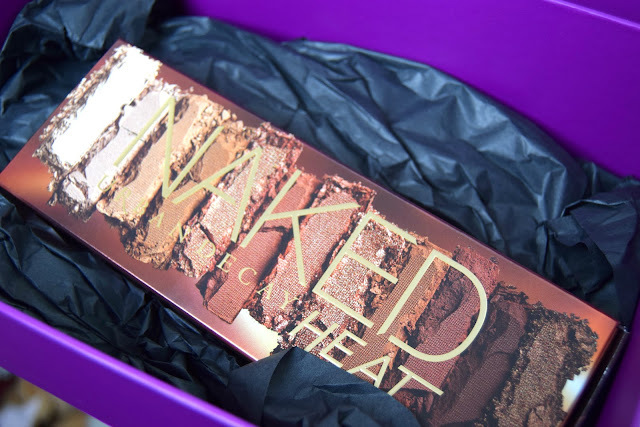 In terms of the palette itself, there is a gradient embellishment behind the metallic lid and golden font magnified with the product name on the front, alike the other palettes from the NAKED range. Similarly, it is in the same styled plastic packaging that the NAKED Smokey was in, which I was a huge fan of. Despite the packaging being 'plastic', it genuinely feels more luxurious and more sturdy that the tin-styled palettes (Naked 2 &3). Overall beautiful feel and a lovely aesthetic that, as always, completely coincides with the shades contained inside! Oh my lord. I was SO impressed when I first opened the palette. 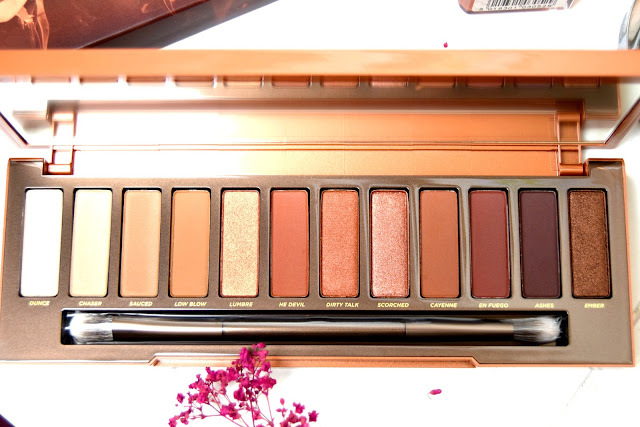 This is literally my dream palette, working with warm-toned colours is my absolute favourite thing to do in terms of eyeshadow. I love how the warm blends compliment my eye colour and skin tone. The palette contains 8 mattes and 4 shimmers - a lovely balance but I would have liked to see a couple more shimmers maybe. As soon as I'd taken my blogger pics, I got straight in to the good ol' swatches. 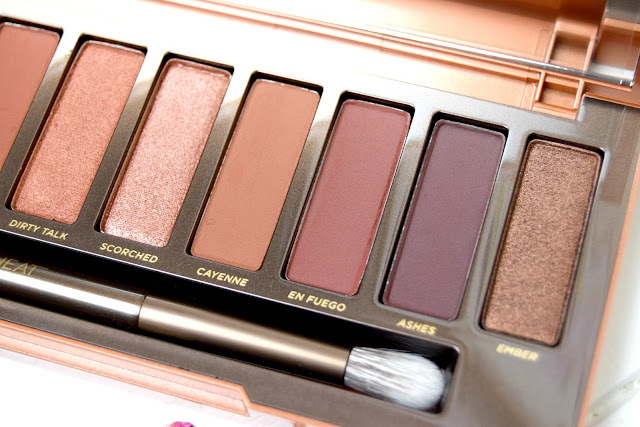 I cannot even believe to explain how pigmented these shadows are - even the lighter mattes at the far left of the palettes are insanely pigmented! 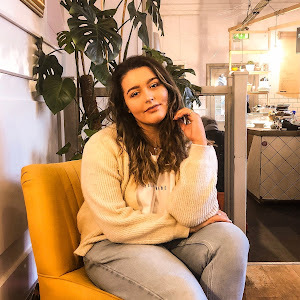 If you hold on to the end of this post, I have tagged my coinciding Youtube video where I tried this palette out for the first time on camera and you can literally see my face when I use 'Sauced' as my transition colour. 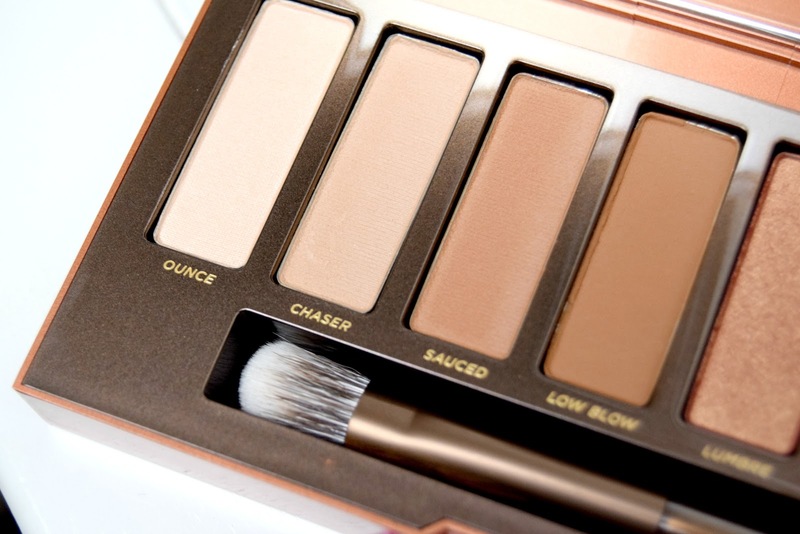 I honestly have no idea how people cannot see the pigmentation and capability of this palette. I mean, the matte shades are definitely more pigmented that the shimmers, but the colour is quickly achieved with a tiny building up. 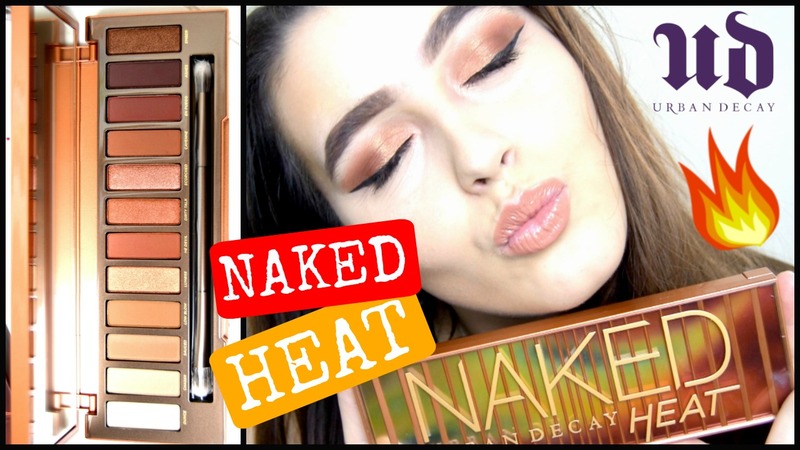 If you want to see how these shades look on the lid then make sure to stick around to the end of the post and click on the link to my channel. 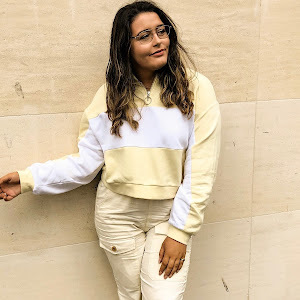 Feel free to subscribe if you enjoy me or my beauty videos - also comment if you came from here first because I am very intrigued if people read this before they watch it! Anyway, each and every colour from this palette is right up my street - a mix of beige, oranges, reds and even a few sultry purple are shoved at the darker end of the palette. In complete honesty, I am in awe with everything - I would even go so far as to saying it is my favourite from the entire range. A wonderful range of eyeshadows that will suit any skin tone and literally make any eye colour pop! Ashes - A dark mauve, super purple! I also filmed a video creating my first ever look with this palette if you are interested in seeing these gorgeous shadows on ^^^ click the link above to check it out! Also, one of my bestfriends Sophie has also created a tutorial using this same palette so if you want to see the palette in different use then go check out her channel HERE! 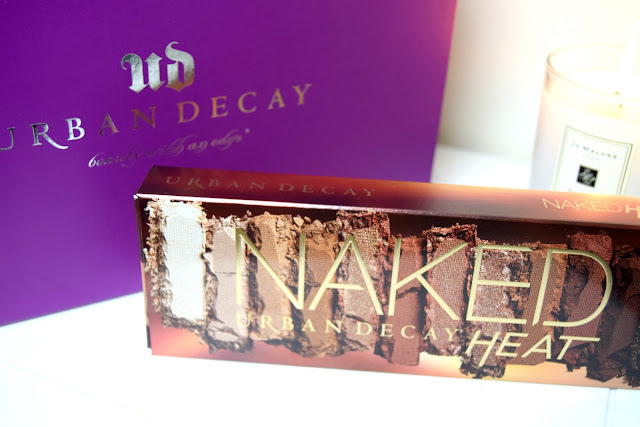 Are you excited about Urban Decay's new release? 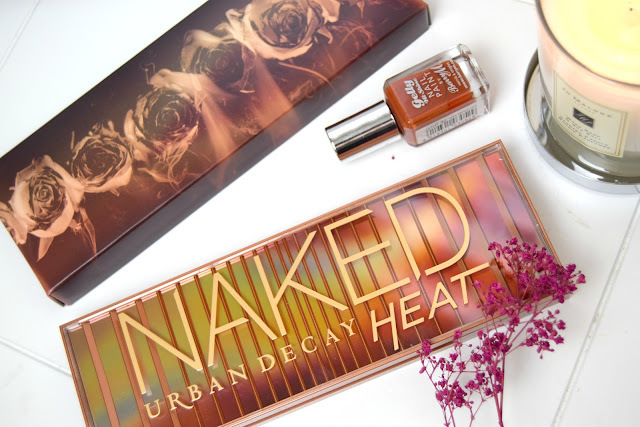 Will you be picking up the palette on the 27th July? !